A Cliparts of a successful businessman character. 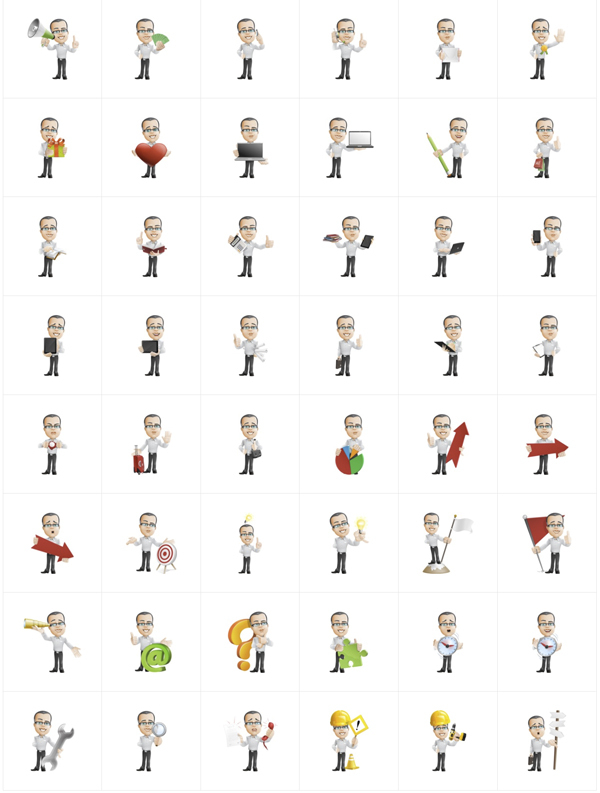 This Collection includes 106 vector cliparts of a businessman. All of the graphics are made of vector shapes and that gives you the opportunity to use them in high-quality projects and print designs. This realistic Businessman character is wearing a great expensive shirt and wears a glasses. He knows how to run things, and your audience will trust him.